Why is iron absorption not taking place in my body? Home » Frequently asked Questions on Health » Why is iron absorption not taking place in my body? Q: I am suffering from iron deficiency (anaemia). My haemoglobin stands at 5.9. Please suggest. After the test were conducted, it was observed that iron absorption is not taking place. When the external iron intervenous injection was given. the haemoglobin raised to 9.2. After a year it came down to 8.5 and later back to 6.8 and now to 5.9. What should I do to improve my condition? A:Iron balance is achieved largely by regulation of iron absorption in the first part of the small intestine. Either diminished absorbable dietary iron or excessive loss of body iron can cause iron deficiency. Diminished absorption usually is due to an insufficient intake of dietary iron in an absorbable form. Usually, diet is the major cause of iron deficiency. Blood loss (haemorrhage) is the most common cause of excessive loss of body iron. Malabsorption of iron is relatively uncommon in the absence of small intestine disease (sprue, celiac disease, regional enteritis) or previous gastrointestinal surgery. A woman loses about 500 mg of iron with each pregnancy. Menstrual losses are highly variable, ranging from 10-250 mL (4-100 mg of iron) per period. These iron losses in women double their need to absorb iron in comparison to males. Treatment consists of establishing the diagnosis and reason for the iron deficiency. In most patients, the iron deficiency should be treated with oral iron therapy, and the underlying cause should be corrected so the deficiency does not recur. The most economical and effective medication in the treatment of iron deficiency anaemia is the oral administration of ferrous iron salts, which is the mainstay. Among the various iron salts, ferrous sulfate is most commonly is used. Claims are made that other iron salts are absorbed better and have less side effects. Generally, the toxicity is proportional to the amount of iron available for absorption. The medicine should be continued for about 2-3 months after correction of the anaemia and its cause in order to replenish body stores of iron. Ferrous sulfate is the most common and cheapest form of iron utilized. Tablets contain varying amounts of elemental iron and the dose should provide 150-200mg elemental iron daily taken 2 to 3 times a day, an hour before meals. Other ferrous salts are used and may cause less intestinal discomfort because they contain a smaller dose of iron. Avoid enteric coated tablets as they release iron very slowly or those containing only minute amount of iron. Calcium supplementation decreases bio availability of iron; absorption is enhanced by ascorbic acid (fruit juices) while food and antacids impair absorption. Parenteral (injectable) iron is reserved for patients who are either unable to absorb oral iron or who have increasing anaemia despite adequate doses of oral iron. It is expensive and has greater toxicity than oral preparations of iron and can cause anaphylactic reactions. Its use should be restricted to patients with an established diagnosis of iron deficiency anaemia whose anaemia is not corrected with oral therapy. Please consult your doctor and discuss with him/her. 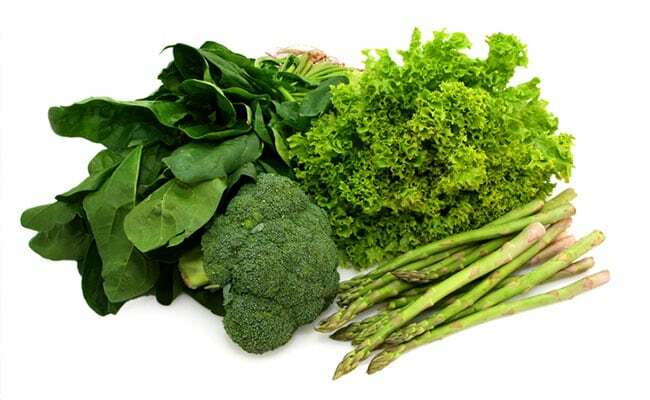 You are obviously losing iron and till the underlying condition is treated, iron deficiency will recur. One needs to ensure that there is no blood loss, oral iron is taken long enough in an adequate dose and to rule out inflammatory, neoplastic, hepatic and renal disease. You can add these natural sources of iron in your diet: • Spinach • Soyabeans • Tomato • Apricots • Beets • Kale • Yogurt • Almonds and other nuts to enhance the level of iron.